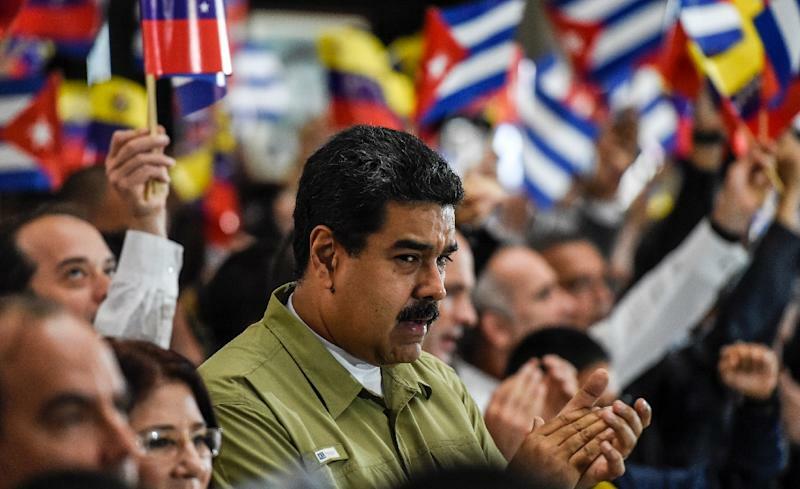 Caracas (AFP) - Venezuela angrily rejected as a "coup" its suspension from South American economic bloc Mercosur on Friday, the harshest international punishment yet for President Nicolas Maduro's crisis-racked government. In a joint statement, the foreign ministers of Argentina, Brazil, Paraguay and Uruguay announced Venezuela was suspended from the group after accusations that the leftist government in Caracas failed to meet democratic and trade standards. "This is a coup d'etat to Mercosur and constitutes a very grave attack on Venezuela," Foreign Minister Delcy Rodriguez told a press conference. Earlier, she railed against the decision in a tweet storm, calling it a "null and void action sustained by the law of the jungle of some officials who are destroying Mercosur." Although Venezuela joined Mercosur in 2012, the other members complain it has yet to ratify a number of rules governing trade, politics, democracy and human rights. Venezuela's neighbors are also becoming increasingly wary of developments in the once-booming oil exporter. Maduro's critics blame him for an economic meltdown marked by food shortages, riots and looting. The opposition also accuses the deeply unpopular president of trampling on democracy by throwing its leaders in jail and blocking its efforts to remove him constitutionally. Venezuela has been hit hard by the plunge in global prices for its crucial crude oil exports since mid-2014, pummeling the government's socialist economic model. 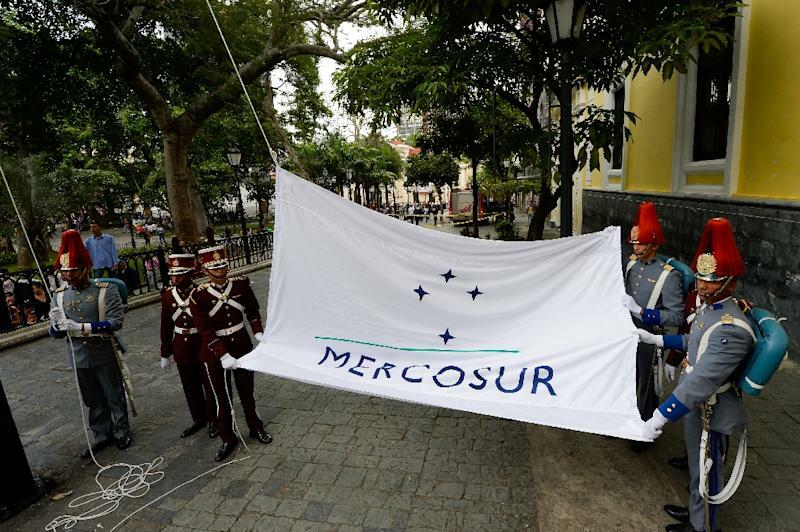 Although not explicitly linked to the country's crisis, Mercosur's move Thursday represented the most significant gesture by a foreign entity against Maduro's leadership since the political crisis deepened this year. Tension between Maduro's government and its Mercosur partners were exacerbated with the election of Mauricio Macri as president of Argentina in 2015 and the replacement of Brazil's impeached former president Dilma Rousseff with Michel Temer. Both right-leaning leaders replaced leftist presidents. And both have attacked Maduro. Macri has accused him of holding "political prisoners," while Temer has condemned the Venezuelan government as "authoritarian." Macri and Temer's arrival marked a turning of the so-called "pink tide" of leftist leaders in Latin America that began in 1999 with the appearance of Maduro's late predecessor and mentor, Hugo Chavez. The region is undergoing a political shake-up as many countries -- including Argentina, Brazil and Venezuela -- struggle with recessions. Mercosur's founding members took over its rotating presidency in September to block Venezuela from the post. But in a surreal turn, Venezuela insists it is still the group's president. 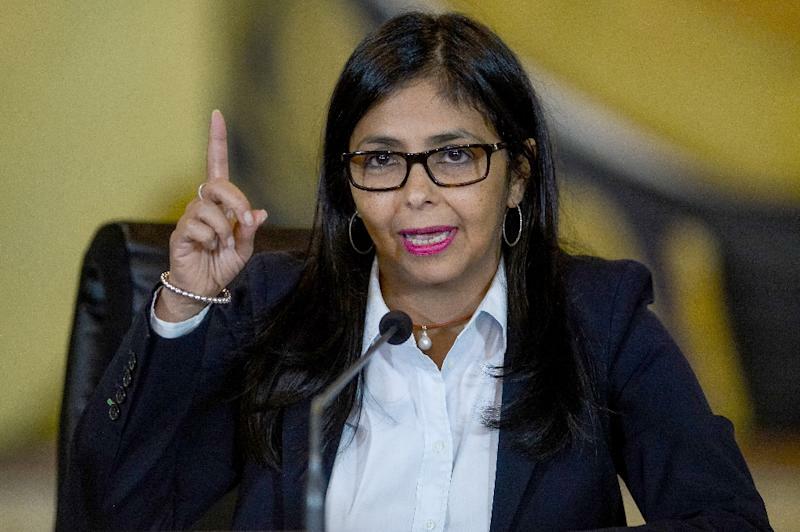 Rodriguez said Venezuela "will continue exercising the legitimate presidency (of Mercosur) and will participate with the right to speak and vote in all the meetings as a state party." Argentina takes over the presidency in mid-December, which could give it a platform for further moves against Venezuela. Rodriguez called on the people of the bloc's member countries to oppose what she described as the organization's hijacking by "intolerant bureaucrats" and "compromised officials with imperialist mandates." Maduro has so far shown a steely determination to keep Venezuela in Mercosur whether its partners want it or not. "If they kick us out the door," he has said, "we'll come back in through the window." Beyond political embarrassment, Venezuela's suspension from the group cuts it out of free-trade agreements and will end the privileges its companies and citizens enjoyed in member countries. Mercosur was founded in 1991 to promote economic integration among its members. Venezuela was allowed to join as an act of solidarity among the left-wing governments in power at the time, said political analyst Gabriel Puricelli of Argentina. But it never put in place the laws necessary to comply with Mercosur rules, he told AFP. Now that right-wing governments are coming to power, "the political will has ceased to exist to keep (Venezuela) as a full member of the group despite the fact it is not complying with the norms," he said.